Everything depends on how much Phyllis Smith's "alternative" Livia can be approved or not by the single reader (if aware of the storiography about her). Livia Drusilla has been accused of all concerning his husband Octavianus, even his death. She has been accused too of almost all the accidental deaths of the possible heirs of Octavianus. She has been accused of manipulating his husband's political decisions for her benefits (Tiberius, her son from the first marriage, will be the next princeps after Octavianus) and we know for sure from the storiography that Octavianus considered her political opinions and listened to her petitions and suggestions. There is no direct testimonies for what there was behind Livia's actions and events with her involved, only external points of view from writers like Svetonius, for example. So the possibility that all the evil voices were false can not be rejected. Smith has the advantage of moving in the territory of speculation and you can't simply say that her Livia is.."wrong". It's a choice like others, that can please or not. 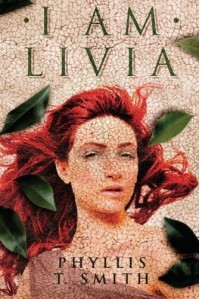 Livia here is a woman in love, caring, strong, smart and shrewd but not an evil genius, absolutely not. She feels and suffers like everyone else. In fact Smith plays a lot on this factor, her humanity and goodness, considering many Livia's intents passed under the cloud of suspicion by history as substantially good and misunderstood by those "evil voices", which Livia comments during the story. Is it naive or inadequate? I don't think so. Like I said before, it's an interpretation. And in my personal opinion behind it there is the will of telling the story of a marriage without giving a little romanticism up and, at the same time, without crashing into the idealisation of the characters. Octavianus's character risked more than his wife. In fact Smith has been astute: ending the story immediately after Tavius's return from the battle of Actium doesn't allow her to tell how he concentrated all the power on himself, passing it under legitimate acts of the Republican costitution and concealing the evidence: the rise of a monarchy and death of the Republic. Even if it has something evil (his opposition? inexistent, or, better, promptly erased), its strategy was an act of a political genius. Clearly telling this part of Octavianus's life with the same tone of this book would have been more difficult and maybe, yes, out of place. So excluding the start of the Imperial Era has been wise if we consider the precedent decisions about the characters and their personality. It is a pity, because it's very interesting, but I understand it. Octavianus is one of my favorites historical figures, so it was easy for me to like this book, even if has the "ghosts of fictionalization", but I accepted Smith's choices and so this version has ben enjoyable. A possible version in which some of the evil voices about Livia were followed? Interesting, maybe with a more controversial character, but I don't see why an author could not propose a bit of romance even in this marriage, if he or she doesn't bump into cheap solutions or banalizations and "selloffs" in the characters.